BOMA founder Kathleen Colson with REAP participants in the village of Lengima. BOMA founder Kathleen Colson fell in love with Kenya during her Semester in Africa as a student at Saint Lawrence University. After graduation, she returned to the country as president of African Safari Planners, leading trips there for more than 25 years, and working to raise funds for numerous conservation and humanitarian organizations. In 2005, she was invited to travel to Northern Kenya by Member of Parliament Joseph Lekuton, a local elected official and friend from Saint Lawrence. 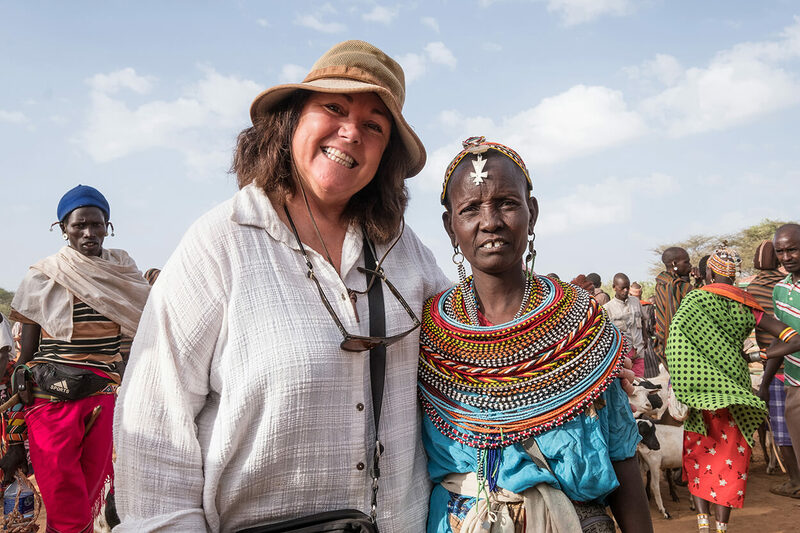 Lekuton wanted Kathleen to see firsthand what was happening in Northern Kenya, where climate change had devastated pastoral communities that for centuries have tended livestock on this arid and semi-arid land. When drought descends, livestock herds die, leaving families with no food, no cash, and no practical means of earning an income. While the men travel farther and longer in search of grazing terrain, the women and children are left in the villages, often for as long as six months. With little hope of employment beyond menial labor, like hauling water or gathering firewood, they are forced to beg for credit and rely on humanitarian food aid to survive. Lekuton saw impending catastrophe. Kathleen agreed—and wanted to help. That same year, she founded The BOMA Fund (now The BOMA Project) and registered it as a 501(c)(3) nonprofit organization. Any long-term solution must be embraced and led by locals in order to succeed. Over the next two years, Kathleen traveled widely through Northern Kenya with Kura Omar, a Lekuton aide who grew up there. With Kura as guide and translator, she spent most of her time listening—to village elders, faith leaders, community development workers and local residents, and especially—the women. 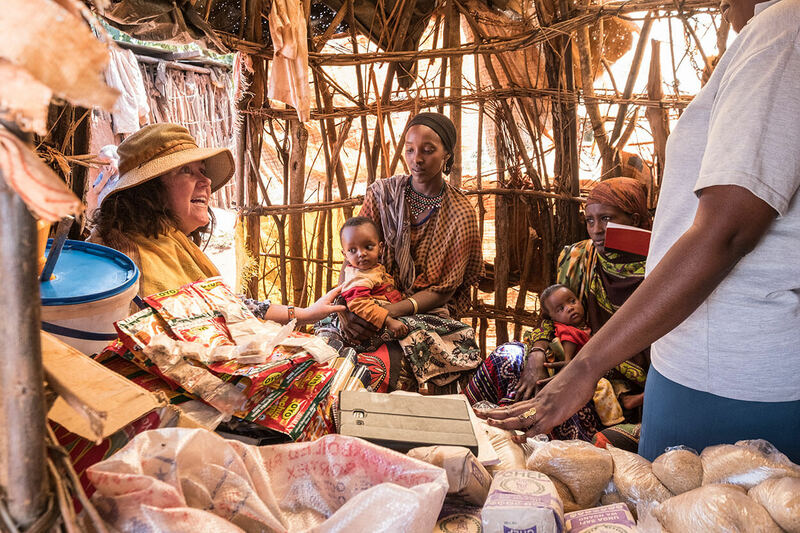 In villages across the district, Kathleen and Kura spent hours under the thorn trees, learning about women’s challenges and how previous aid programs had failed. After conducting extensive research, Kathleen and Kura decided that focusing on helping women earn an income offered the most promising path for BOMA. In late 2008, BOMA launched its cornerstone program, the Rural Entrepreneur Access Project (REAP), with a pilot of 40 micro-enterprises near the remote village of Korr.